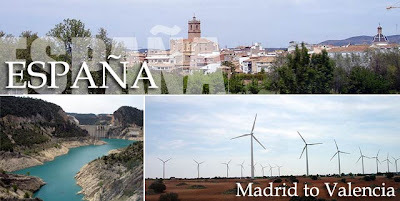 Taking the bus from Madrid to Valencia was a great way for us to see the Spanish countryside. We had been traveling for over 24 hours now and this last leg would take four more hours. There are two types, the Normal [22,89€] and Express [28,95€]. They are both four hours but I was told that the Express has wider and more comfortable seats. So we took the Express. Most of what I saw was agricultural land. But we'd pass by small towns quite often, many of which have preserved their character through the years. We were also warned to watch our luggage while at the bus station since theft was a threat if you are not alert. We finally arrived in Valencia at 3 p.m. just in time for lunch, in Spain that is. I randomly stumbled upon your article of how you got from madrid to valencia. I want to do the same trip in two weeks from now on and I wated to ask you more info about where did you get the bus from and if the buses go daily. and maybe about some useful hostels in madrid and valencia. thanks!! !